I received an encouraging comment this morning and decided to go ahead and take some pictures. 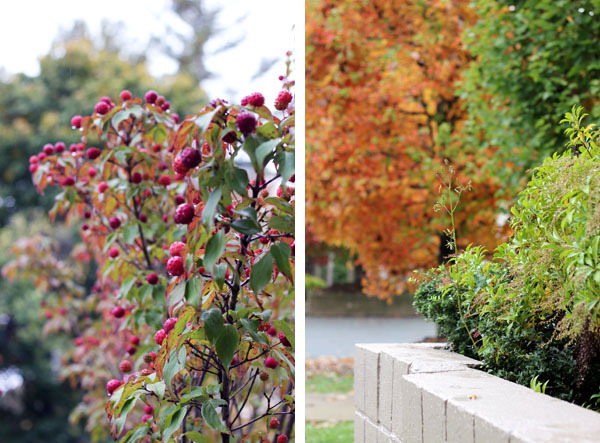 These were all taken from under the cover of my apartment building, so I got some rainy pictures without getting wet! Aren’t the colors pretty? The colours are fabulous! Love these. I love the way you freely use your camera! Keep on doing it!! I can't wait to see what comes out of it :) Is the Canon Rebel living up to your expectations? what a beautiful fall you are having! It's beautiful in your neck of the woods. Great shots!